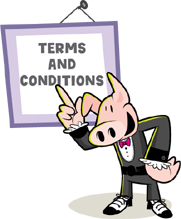 Terms & Conditions and Privacy Statement for PIGGYBANK® Fantasy Stock Exchange™ game accessed through piggybank.co.uk and fantasystockexchange.biz (“the Competition”) and websites authorized to offer access to the Competition. 1. The Competition is free to enter and is open to all persons aged 16 years or under, schools, academies, associations or groups, where such schools, academies, associations or groups are licensed educational establishments or part thereof or connected directly thereto, excluding relatives of employees of OINK! or Piggybank Multimedia Ltd and or its associated companies (collectively referred to hereinafter as “the Promoter”). 2. No responsibility can be accepted by the Promoter, associated companies, or the organiser, its agents or assigns for lost, delayed, incomplete or electronic entries or winning notifications that are not received or delivered. Any such entries or notifications will be deemed void. 3. The Promoter does not accept responsibility for late or undelivered entries, notifications or communications or for any technical failure, malfunction or difficulty or for any event, which may cause the Competition or game to be disrupted or corrupted. 4. The prize(s) will be awarded to the highest ranked entries received from Premium Players, referred to herein as “*WINNER”, or as specified from time to time in the “rules” of each competition or game or as decided upon by the Promoter at its sole discretion and whose decision is final. 5. The first place winner will receive prizes as posted onto the websites carrying the Competition from time to time. 6. Runners-up will each receive prizes as posted on the websites carrying the competition from time to time. 7. No cash alternative will be given and the Promoter reserves the right to change any of the prizes at any time without notice. 8. The judge or judges to the Competition retain the right (at his/her or their sole discretion) to disqualify any entrant who in the judge’s opinion fails to comply with these terms and conditions (including all terms and conditions referred to herein). 10. Winners will be notified by email within 28 days of each closing date of each competition or game which may occur entirely at the discretion of the Promoter. 11. The winners will be deemed to consent to the use of their names and likeness for publicity and commercial purposes without notice or compensation and agree without reservation to comply with the terms of the granting of the prize(s) including, but not limited to, making themselves available in respect of the receipt of the prizes if so required. 12. For a list of winners’ names please send a SAE to PIGGYBANK® Fantasy Stock Exchange™, Marketing, 28 Rosslyn Hill, London NW3 1NH. 13. By entering the Competition and the game, entrants agree to be bound by these terms and conditions, which are governed by English law and the exclusive jurisdiction of the English Courts. 14. Neither the Promoter nor any other company or person connected with the Promoter nor their agents or assigns shall have any liability or obligation whatsoever to any participant in the Competition or game. 15. 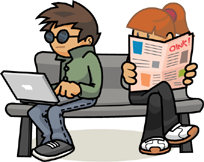 By entering the Competition or game, you agree to receive promotional material from the Promoter from time to time. You agree that you do not object to being contacted under these conditions and you confirm that you do not and will not consider any of the above as a breach of any of your rights under UK Data Protection laws. 16. 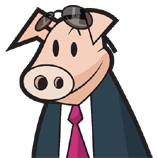 The promoter is licensed to operate PIGGYBANK® Fantasy Stock Exchange™. Entry to the game is made according to instructions given on the website page, including but not limited to each game player selecting a number of stocks and shares in which to “invest” the PIGGYBANK®Cash. Each game player is called a FUNd™ MANAGER and the object of the game is to choose and accumulate shares which, together with any residual cash savings or cash in hand, have increased the value of the players FUNd by the end of the game. The FUNd with the greatest value wins. If there is more than one winner, these winners names will be placed in a draw and one will be chosen at random. One object of the game is to provide children with an exciting and challenging opportunity to develop skills in research and selection. The game will require reading and understanding and to this end discussion with parent(s) and/or teacher(s) is encouraged. It is also hoped that the game will assist numeracy and a better understanding of how the commercial world works. When you register on Internet sites you are generally required to provide certain information. Different sites ask for different information and do different things with that information. We want to be very clear about the information we collect and what we do with it. 1. What information do we collect? Sign-up: When you sign-up with us, we collect your name, date of birth, gender and age, country. allow us to mail users with information about our service and the services and products of carefully selected companies. 3. Will we pass your information on? No personal or contact details are disclosed to parties not connected directly to the operation of PIGGYBANK® Fantasy Stock Exchange™. All information herein contained is correct at the time of publishing.